AmpliVox Sound Systems has introduced a re-designed, upgraded version of its Mity-Lite Portable PA System, adding new features for versatility and convenience. The compact 40-watt SW320 Mity-Lite Plus now supports two digital wireless microphones, allowing multiple presenters to be heard by audiences in rooms up to 1,500 square feet. 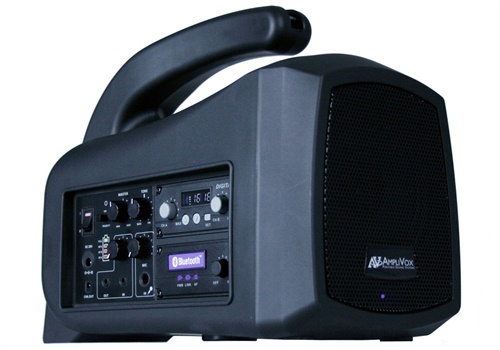 The SW320 Mity-Lite Plus is a highly portable, enclosed PA system that sets up in moments. Weighing only eight pounds, it can be set on a tripod, worn on a shoulder strap, or simply carried for use anywhere. 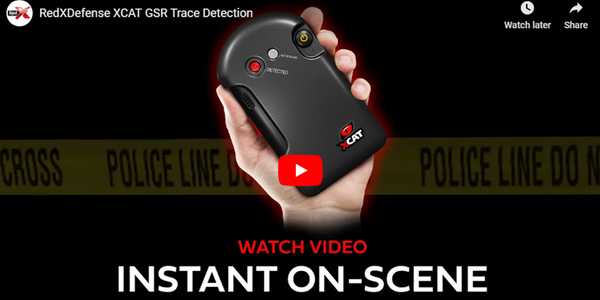 It includes two digital 2.4 GHz wireless microphone receivers, as well as a wireless handheld mic that conveniently stores in the handle of the unit when not in use. Additional handheld, headset, and pendant wireless mics are available in bundle packages for extra savings. An integrated Bluetooth module allows users to stream music from smartphones. The control panel also includes aux in/out connections for CD players, computers, or other non-streaming sources. The Mity-Lite Plus Portable PA operates on AC power or on its built-in rechargeable battery, with a run time of up to eight hours and a battery status indicator light. It is also equipped with an intelligent charging system, allowing the battery to recharge while in use with the AC power source. With its portability and simplicity of use, the SW320 Mity-Lite Plus fits a wide variety of sound system needs, including emergency response and public safety. "The new SW320 offers outstanding versatility and convenience," notes Don Roth, AmpliVox CEO. "It is easy to carry anywhere, with advanced features typically found in much more expensive sound systems." For more information about AmpiVox products, visit Ampli.com.